Punta Cometa is a point of land jutting out into the Pacific near Mazunte, Oaxaca. It is located 4 miles west of Puerto Angel. 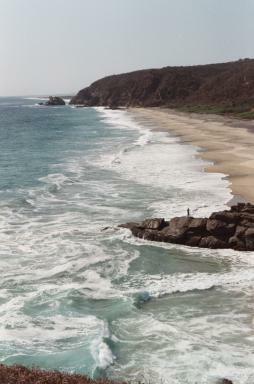 Punta Cometa is the southernmost point in Oaxaca. Nearby, the Centro Mexicano de la Tortuga researches, breeds, and displays numerous varieties of live turtles and fish, besides photos and other exhibits.  Efforts are being made to reestablish the once plentiful local turtle population that was depleted due to previous practices of hunting turtles for their meat and collecting their eggs for consumption. 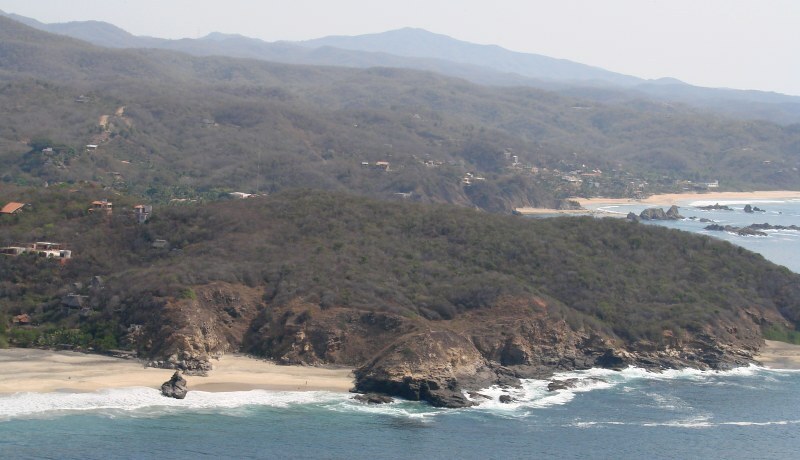 See aerial photos of Punta Cometa.